Designers have come up ways in which we can layer rugs in our homes so as to create a beautiful surrounding. Many design predicaments can be solved by simply adding a second layer of rug. Initially, I wasn’t sure on how to go about layering rugs. I came up with the following points and benefits that I think can be useful for anyone looking to layer rugs in a simple yet outstandingly lovely way, or help you in making the decision to layer your rugs. Adding of a second layer of rug texturizes a room, in that, say for example a room with clear neutral colours, though already looking beautiful, lights up with the addition of a rug made of sheepskin. Such is the seemingly small effort required to transform a room in a large way, making it stand out. Let’s say there’s a red antique tucked somewhere in a room but there are colors, more dominant the antique’s color. Adding a second red rug in the room will suddenly shine a spotlight on the red antique that initially was not a standout item. The layering of rugs with totally different patterns is a complicated affair. Instead of utilizing different patterns, it is advisable to use similar rug styles in order to create a beautiful environment. From the above picture, without the added cowhide rug, the dining space would have looked incomplete. The cowhide layer therefore emphasizes the seating area, thus making it look like the design was chosen on purpose instead of a scene depicting seats on top of a big rug. There are different types of rugs with different styles and shades of color in the market. In order to create a good contrast, customization is needed. For example, a room may have white colored walls and the couch maybe black in color. To create a good contrast, layering can be done using one rug which may be white in color, while the other one might have black and white stripes. I might be having a rug that I absolutely love and adore but it might not fit the area I envision it in. However, I can still utilize it in that same area by just putting a simple and bigger rug under it. I have 2 kids at home. This of course means that spillages are a common occurrence in the house. An extra rug comes in handy for preventing wet substances from reaching the carpet underneath or even hide stains. Hides are considered as excellent secondary rugs to be used for layering. This is because they are thin, and thus not likely to trip someone. Moreover, since they have irregular shapes, another slightly bigger rug can be placed underneath. Now that we have seen how layering can be achieved, where are these rugs purchased? 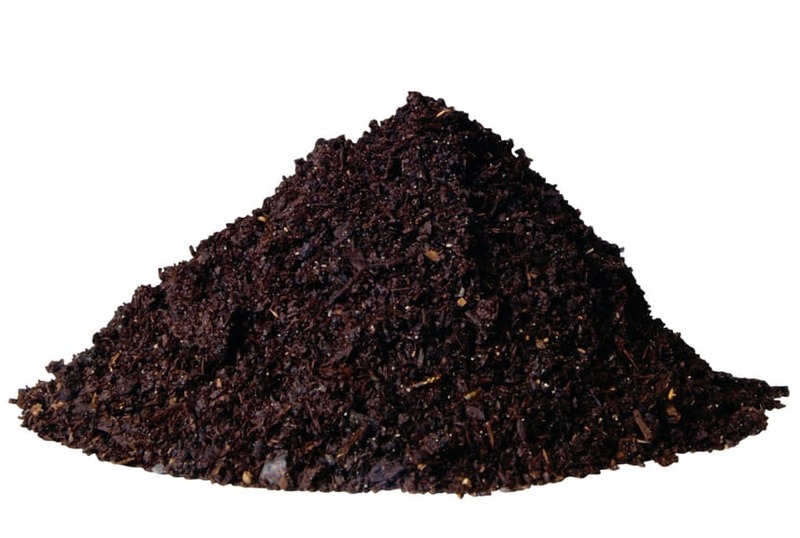 Alternatively, sites like Amazon, Argos, irugs, Carpetvisa and Selectarug provide online services. This entry was posted in Home Decor on November 10, 2014 by admin. Choosing the right type of rug is essential in the art of home designing. The choice of rug can either make a room look attractive or unattractive. Knowledge of matching the right rug with the color scheme of a room is crucial. Before going out to buy a rug, I believe that it’s important first to know the various types of rugs in the market. A dhurrie is a thick, flat woven rug that mainly originates from India. It is at times spelled as ‘durrie’ or ‘dari.’ These rugs are made using techniques that have been in use for many years. The flat-weave design (which is a distinguished feature of this rug) used to create them makes them last long and beautiful. The dhurrie rag’s tight weave ensures that the rug can easily be cleaned. The rugs are made from materials like cotton, wool, silk or a combination of natural fibers. When it comes to patterns, the most dominant ones are traditional miranet and mosque shapes. Modern designs have incorporated floral, animal and square patterns. For colors, dhurrie rugs combine different shades. Another feature of this rug is that the other side is also patterned; hence the rug can be flipped in case maybe the top part is stained, for example. However, there is a variation in color between the two sides. Also, they do not have a heavy built in pad, therefore making them easy to carry from one place to another. This also enables one to shake the rug easily to get rid of dirt. These rugs are a traditional type known for their less intense colors and classic designs. The term ‘chobi’ is a Persian word meaning wood, while ‘Ziegler’ is the German company that helped to create this rug design. They are of high quality. They have lower count knots than the Persian variety. These rugs are made in Iran (which was previously known as Persia). They are one of the ancient oriental rugs in the market. They usually feature patterns like husks, jugs and crosses and traditional colors like red and gold. They are considered to be of the highest quality. They are of one of the world’s oldest designs. The famous ikat pattern is native to ancient cultures of Japan, India, and Yemen. Several ikat patterns have diamond or triangle shapes repeated in loose lines. Its name is derived from Bukhara, a town in the modern day Uzbekistan. This design consists of classic colors red, navy and brown and has oval shaped patterns. 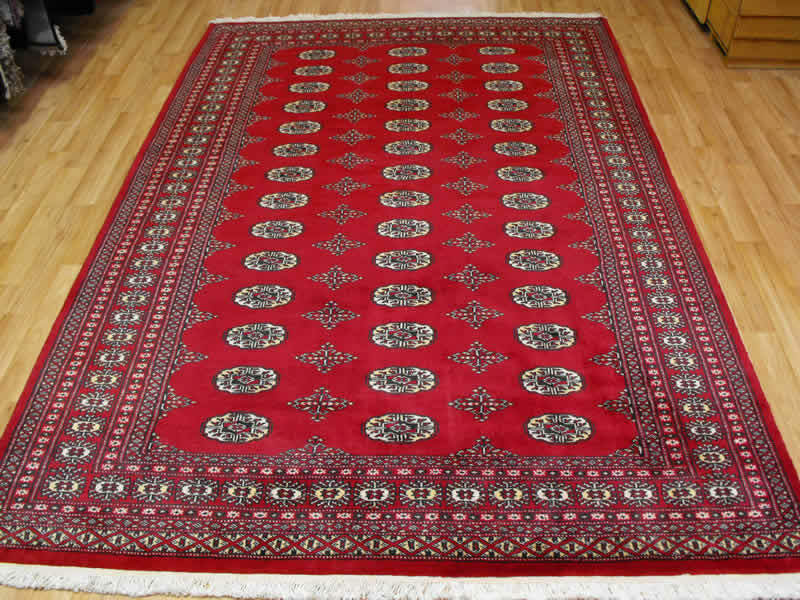 Bokhara rugs consist of entirely asymmetrical knots, unlike most Oriental rugs. As with its name, these rugs contain a silk component in them. The higher the silk woven into the rug, the higher the rug’s value. These rugs have a soft texture. However, their delicate silk fibers are difficult to maintain as compared to traditional wool. This is a simple rug with a base color at the center. It also has a border on the edges which usually has several colors and designs. Inlaid rugs have a wide assortment of designs and can be customized with initials. This entry was posted in Home Decor on August 24, 2014 by admin. When it comes to home decorations, the room that I always look forward to decorating all the time is the living room. I believe the living room is one of the most important rooms in the house. It’s usually the first room you go into after entering a home. Guests spend most of their time here. It, therefore, needs the utmost attention in decoration matters. With this in mind, the following are various living room decoration ideas that can be considered that can spice up the living room. Red colors might dominate the living room. The red is ‘screaming’ all over? What can be done to tame it? I would recommend an addition of white in some areas of the room so that the bold red color can be controlled. The living room should always feel light, and there should be air moving freely. 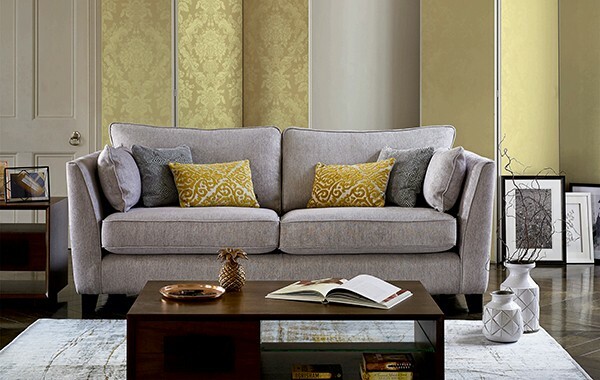 In line with the theme of décor, furniture like an open-weave coffee table and Lucite dining chairs are suitable for making the living room not feel cramped. White is a fantastic color to go with in the living room. However at times plain white may at times look weird or strange. To spice it up a bit, different textures like a crocheted throw or a rough-hewn linen sofa can be utilized. Reading is food for the soul. A part of the living room should be set aside for this purpose. This section should be designed with the main aim of providing an environment conducive to reading. The living room should be updated with a few items, say after each season so that it is up to date with the current trends. 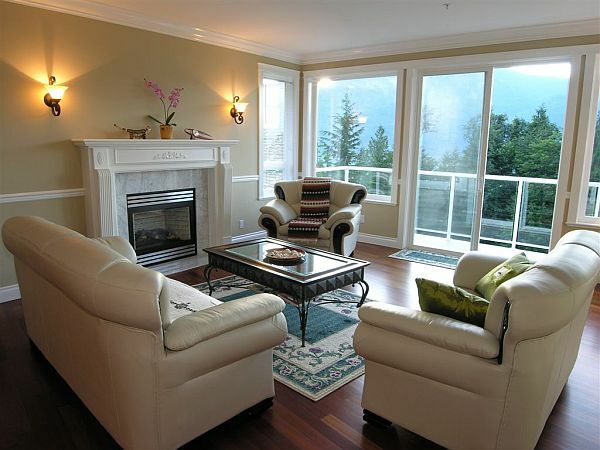 For example the latest rug designs or a fresh coat of paint that has hit the market. The fastest way to let light in the living room is by investing in the right curtains. 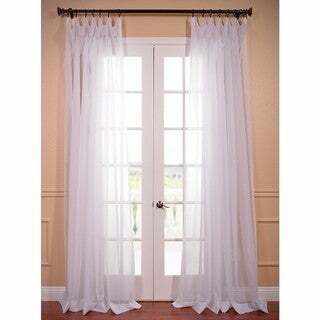 Instead of heavy fabric curtains, money should be spent in purchasing gauzy curtains. The panels should go down to the floor. Another décor idea that I came across is the back to back concept. Here seating arrangement can be created by placing a set of sofas in the center of the room and their backs facing each other. In this situation, the living room’s sofa sets are placed in an oval position. It’s designed this way for entertainment purposes and also helps in keeping the focus inwards. We are all used to the old design of decorating our walls with family photos. These can, however, be replaced by other forms of decorations that can catch the eyes of visitors. For example music records or even instruments can be used. Couches are a standard feature in almost, if not all living rooms. However, to spice up the living room, the sofas can be supplemented with unique things like a swinging chair that can be placed in a strategic area. This is something that I had to take a keen interest in. The old, common way of lighting should be done away with, and in its place, new and exciting lighting designs. For example, chandeliers can be used to replace those boring bulbs. Bookshelves do not have to be those same, old, boring shelves that we are used to seeing. There are several new ways to spice up the bookshelves, for example displaying artwork and other accessories. These are but some of the ideas that can be incorporated in the decoration of living rooms. Frankly, there are literally hundreds if not thousands of ideas out there that can guide someone in matters of living room décor. This entry was posted in Home Decor on February 6, 2014 by admin. I love breakfast and I use to love to eating breakfast at a local cafe called Toast. Toast is an adorable cafe located in Port Jeff. I haven’t been back to Toast since I went GF, but have been inspired by many of their creations. Toast offers typical breakfast items, like Omelets, Pancakes and French Toast, however they have a unique twist; including Cinnamon Raisin French Toast, Peach/Raspberry Pancakes, and Banana Cinnamon Walnut Pancakes to name a few. I have blogged a lot about pancake mixes before. Currently my favorite mixes are King Arthur’s GF Mix and GF Bisquick. Not only are the mixes GF, but I easily make them DF. I have also been on a pancake fix lately, and have been developing unique combinations, just like Toast! Last week I made blueberry/raspberry/ banana pancakes! I made the mix as directed (using water instead of milk), added a mashed banana, a touch of vanilla, and cinnamon to the mix. After I put the mixture on the skillet, I added the desired amount of blueberries and raspberries! Last night I made my friend and I breakfast for dinner. She is also from Long Island and loves to dine at Toast (gluten-eater), she often talks about how much she loves Toast’s peach/ raspberry pancakes. I had never had them, so I figured it was time to give this combo a try. Again I made the pancakes as directed, and added a touch of vanilla and cinnamon. I sliced the peaches up, placed the mixture on the skillet and then added the desired amount of peaches and raspberries to the pancakes. I think this picture shows how good the pancakes were. So my challenge to you is: Next time you miss a particular restaurant or food item, don’t dwell on it and get down. Instead, try creating a GF alternative. It may take you a few times, but once you get it, you will feel so empowered! This entry was posted in Recipes on January 15, 2012 by admin. As you know two weeks ago I celebrated my blogiversary. It was a special day, and I wanted to do something special to celebrate it. I had plans to try out a new recipe from a new cookbook, but this quickly changed when I got sick, and then got glutened by the medicine. My mom being the mother she is, felt terrible. I was up at school all alone, and she wasn’t there to take care of me. I told her, I was OK, and there was nothing she could do ( I literally was sleeping all the time). However, no matter how old I get, when I’m sick all I want is my mom! My brother had a swim meet down in DC, so on there way to the meet my parents stopped at Sweet Sin Bakery. I had never heard of this bakery before (leave it up to my mom and google to find a GF bakery!) My parents picked-up some goodies for me, and my mom posted an adorable video on my Facebook wall that made me smile and laugh, hoping that this would cheer me up! Sweet Sin Bakery is a gluten-free bakery that offers a wide variety of products, many of which are dairy, casein and soy-free as well. My parents got me, muffins, cookies and two cupcakes. After being “glutened” the last thing I wanted to eat was sweets, so I froze everything except the cupcakes (I didn’t think frosting would freeze well). I was finally feeling better later last week, and was able to enjoy a cupcake. My friend and I split each cupcake. I wanted to try both, but there was no way I could eat two. They were both great, and both my friend and I gave it our approval! The other day I also tried the blueberry muffins. These too were very good. I definitely could taste the lentil flour in the muffins, but I did not mind it at all. This made them different from any GF/DF muffin I have had, and I enjoyed it. The muffins defrosted well and weren’t dense like many GF muffins, light and airy! I always like to have something on hand, so I kept the Snickerdoodles stored in the freezer. I can’t wait to try them. Sweet Sins Bakery is actually in the process of changing their name! “Like” them on Facebook, provide them a suggestion, and if they choose your name, you will get 1 dozen cupcakes and dinner for two! Sweet Sins Bakery is located at 127 West 27th Street, Baltimore, MD. To learn more about this bakery visit their website! Thanks Mom and Dad for the delicious treats and for alway seeking out new GF options!! This entry was posted in Bakery on January 8, 2012 by admin. Cheers to a Happy, Healthy & Joyful New Year! This entry was posted in Poems on December 30, 2011 by admin. Christmas Eve we spent the day with my Dad’s family. Though we all live on the Island, it was so nice to spend time together and reconnect. For a short time, I was the only family member (on my dad’s side) to be GF (and now dairy-free), however this is no longer the case. My cousin is also GF and DF. I am not a big desserts person, but since it was Christmas I wanted to make something special for us. Before my cousin went GF/DF one of her favorite desserts was a chocolate cake that my mom makes. I decided to take a risk and experiment(however, I also brought my homemade cookies just in case it was a flop!). My brother and I use to swim on a club team. This recipe came from a cookbook that the team made up for a fundraiser. The cake is so good, rich in chocolate, and moist. However there is one big problem, it contains both gluten and dairy! Over the summer I wanted to try out this recipe, but did not know what type of substitute to use in place of sour cream. However, I read plain coconut milk yogurt was a great substitute, and decided to give it a try. Preheat oven to 350*.Beat all ingredients, except chocolate chips, for four minutes.Let stand 15 minutes. Grease tube pan while waiting.Put ½ chips on bottom of tube pan. Pour mixture over chips.Put remainder of chips on top of mixture. Bake for about 60 minutes. Sprinkle while hot with powdered sugar. As always it is important to read labels and verify that ingredients did not change. This entry was posted in Recipes on December 27, 2011 by admin.